Very nice work! 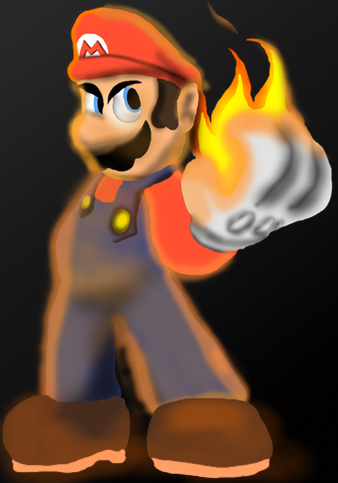 I really like the flame effect and that you added an orange glow on Mario that would be casted on him by the flame. Well done!